For OET classes in Chandigarh Rise Global Academy is one stop destination and Best OET Coaching centre in Chandigarh. OET is an international Occupational English testing system specifically for Medical Professionals like Nurses, Dentists, Pharmacist, Physiotherapists, Pediatrics, Dieticians, Veterinary and many more medical professionals. Classes for OET in Chandigarh are provided at Rise Global Academy Chandigarh at highly affordable fee structure as most of the OET institutes are charging hefty money on the name of OET classes. But we at Rise Global Academy provides Economic comfort to students and delivers quality to qualify the teas with ease and effortlessly. The main feature of this exam is that all the for linguistic skills topics are related to concerned medical professions unlike IELTS and PTE exam where general topics are given. 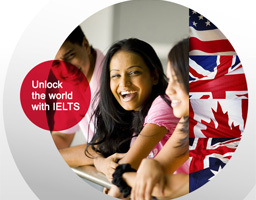 The other difference is grading, in this test score is given in 4 grades like A,B,C and D. Grade B is treated as equivalent to 7 bands of IELTS. We at Rise Global Academy provides extraordinary assistance to the students to qualify their OET exam. Rigorous training program is designed for different medical professions. Other than classroom teaching and interactive sessions lots of practice and mock tests are exercised by the students to get the practical exposure. Listening Test Structure (Approx. 50 minutes) Same content for all healthcare professions. This part assesses ability to source information from multiple texts, to synthesize information in a meaningful way and to skim and scan material to retrieve information quickly. You are required to read 3-4 short texts (a total of approximately 650 words) related to a single topic, and complete a summary paragraph by filling in the missing words(25-35 gaps in total). In Writing task you have to write a letter, generally a referral leter. Sometimes it can be a different letter for example letter of discharge or transfer, or a letter to inform a patient or to advise his or his career. In this section your identity and profession are checked by the interlocutor and there is a short warm-up conversation about your professional background and after that role plays are introduced, one by one, and you have 2-3 minutes to prepare for each. The two role plays take about five minutes each.